On the northern banks of the Brunswick River lies Ocean Shores and its neighbouring siblings of New Brighton and South Golden Beach. These have emerged as fabulous locations for first-time homeowners, retirees and investors seeking a seaside destination with a more affordable price tag. Established in the early 1970s, the locale was named after Ocean Shores, Washington, former home of US country singer Pat Boone, a financial backer of the area’s development. Its quiet streets were intentionally developed with minimal lighting and no overhead power lines, allowing the area to retain its natural beauty and tranquility. The area is well appointed by the Ocean Shores Plaza, offering a substantial supermarket, tavern, post office, beauty salons and hardware store, while the weekly New Brighton Farmers’ Market provides local and regional produce to the community. The Ocean Shores Country Club boasts an 18-hole golf course, championship bowling greens, a Greek and Mediterranean restaurant and function facilities, as well as stunning panoramic views of the valley below and hinterland beyond. Immaculate, dog-friendly beaches spread northwards, a favourite ‘secret’ spot for surfers and fishermen alike and anyone wanting to wander aimlessly to the meditative sounds of the ocean. A tributary of the Brunswick River, Marshall Creek, runs parallel to the beach, a fond weekend pastime of locals being to kayak or paddle from Brunswick Heads up to the iconic Yum Yum Tree café for a coffee with its ever-present proprietor, Manfred, before the return journey. 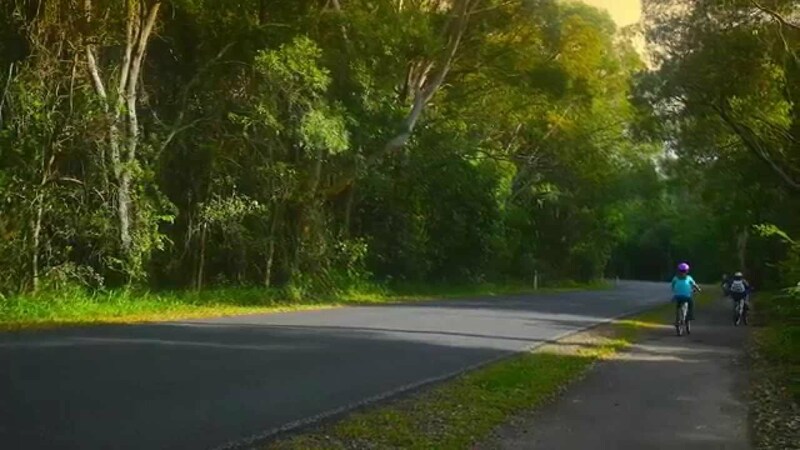 Ocean Shores Public School offers a safe and happy learning environment for years K to 6 and daily bus services provide transportation to both Byron Bay and Mullumbimby High Schools.